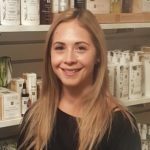 Mira received her diploma in Advanced Medical Esthetics from All Body Laser Inc. and her Bachelor of Science degree from the University of the Fraser Valley. Her passion for laser allows her to to educate her clients and provide thorough, high-quality services. Kayla completed her Bachelor’s Degree in Kinesiology at the University of the Fraser Valley in 2015. You will see her up at reception and assisting around the spa. When not at work, she enjoys volunteering with various animal organizations. Fiona is one of the first faces that will greet you at Silhouette. 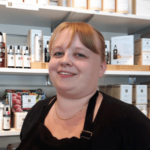 She completed several years at UFV in the nursing program and has now joined us at the spa. She will be more than happy to help with all of your booking, product and service related questions! Jocelyn is another of the first faces that will greet you at reception. She recently moved from 100 Mile to Chilliwack. She will happily help you with your booking and product needs. When not at work, she enjoys spending time with her daughter and with animals! 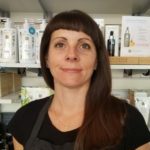 Kelly received her diploma in Electrolysis from the Maple Ridge School of Esthetics in 2012. 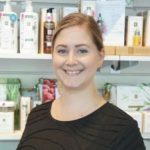 She then received her diploma as a Medical Laser Hair Removal Technician from All Body Laser Corp. in 2017 and most recently, her diploma in laser tattoo removal from All Body Laser Corp. in 2018. She is passionate about her clients and tailors each appointment to suit her clients’ needs. Ashley completed her training in 2006. She always ensures that you have a relaxing and pampering spa visit. 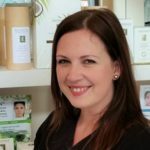 She has years of experience with our Eminence skin care line and so gives not only an amazing facial, but also skin care advice. Other services that she provides include massage, waxing, pedicures, manicures, tinting, and facials. Stacy graduated from Kosmetae academy in Abbotsford in 2006. Some of her favorite spa services to provide include massages, manicures, pedicures and waxing. She moved to Chilliwack in 2017 with her husband and two boys. When not at work, she enjoys exploring Chilliwack with her family. Vanessa received her diploma in esthetics from the Pacific School of Cosmetology in 2005. She has attended many continuing education seminars in a variety of topics to further develop her skills and education. With nearly 10 years of experience in the field, Vanessa has many loyal clients who appreciate her high level of care and attention to detail. Telisha graduated from Kosmetae Academy in 2005. She has now acumulated over 12 years of experience in the field of Esthetics. Telisha is very skilled at manicures & pedicures (including gel nail polish) and has a special passion for massage. When not at work, she enjoys traveling back to her home town in South Africa to visit friends and family. Nicole graduated from Kosmetae Academy in Abbotsford in 2010. 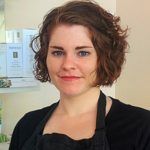 She is skilled in a wide range of spa services including manicures, pedicures, facials, waxing, body scrubs and relaxation massage. She is also an eyelash technician trained in the Classic lashing method. 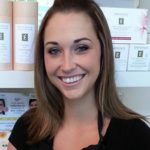 Nicole’s calm and friendly personality helps clients feel comfortable and relaxed while enjoying their pampering spa services. 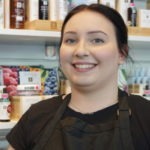 Evelyn graduated from esthetics school in 2015. Some of her favorite services to provide include waxing, facials and pedicures. She also really enjoys working with makeup and especially loves the Glo Skin Beauty mineral makeup line! When not at work she enjoys hiking and goes every Sunday. Welcome to the team Evelyn! Nicole recently moved to Chilliwack with her husband, son and cat. 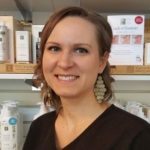 She graduated in 2009 from esthetics school in Kelowna. Her favorite services to provide include gel manicures and facials. In her spare time, she absolutely loves cooking & baking, animals, camping and spending time with family.